The orthodox Tehreek-e-Labbaik Pakistan knew it wouldn’t win in the Lahore by-election last year. It sent its man ahead nevertheless. Why? 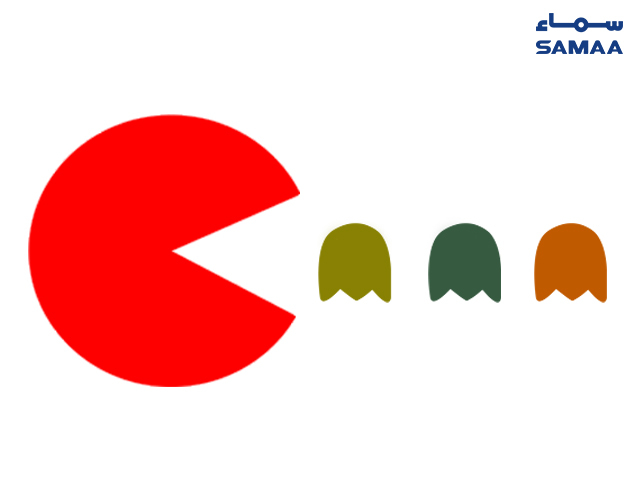 Because nothing feels as good as taking eight thousand votes away from the ruling party. This is the politics of the mandate spoiler. It is a genre populated with groups so fresh on the scene that Google doesn’t even know them. But they have jumped into the fray because they can do some damage, even if it is a little. In the long-run, however, analysts say their presence does not bode well for that thing called democracy. TLP is one of these newly minted groups. It was actually formed exactly on the day of the funeral of the convicted killer of Punjab Governor Salmaan Taseer. That was just 2016. By this election in 2018, the party has fielded a massive 571 candidates for national and provincial assembly seats from all over the country. If you want to know what the party’s campaign is centred on, see how it bills itself as the protector of the Finality of Prophethood or Khatam-e-Nabuwwat law. It had brought life to a standstill in Islamabad and Rawalpindi by staging a 21-day sit-in on a main intersection after the government made a minor change in the oath lawmakers take. The sit-in ended only after the then PML-N government removed its law minister Zahid Hamid. “We will review all the existing laws after going into the assemblies,” says TLP’s Karachi chief Zaman Jafri. “If we had strict laws, an individual wouldn’t have had to take the law into his own hands,” he says, referring to Mumtaz Qadri, the killer of Salmaan Taseer. 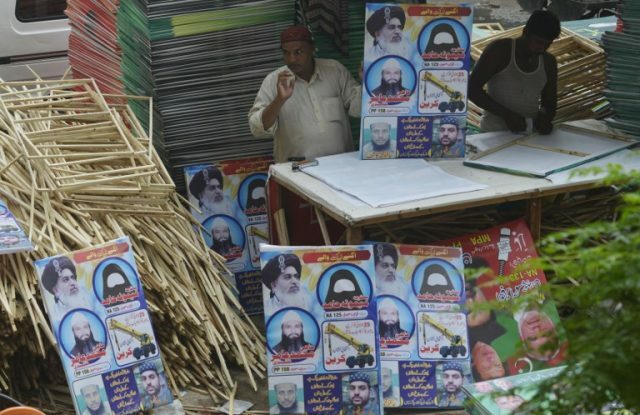 In Karachi, the TLP has a strong presence in low-income and middle-class areas. Old city areas, Landhi, Korangi, Liaquatabad, Shah Faisal and North Karachi are some of its strongholds. 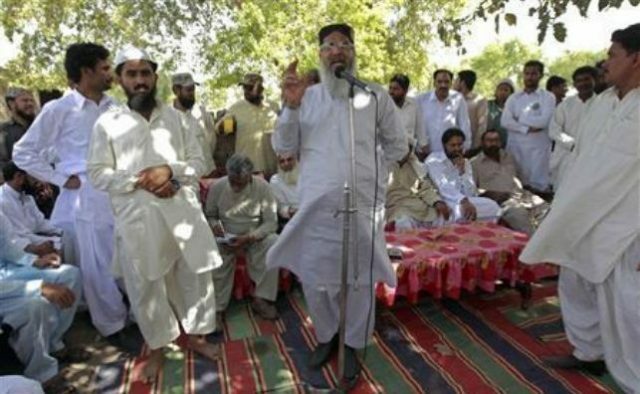 The TLP is not the only ultra-extremist group that is contesting elections in Pakistan. 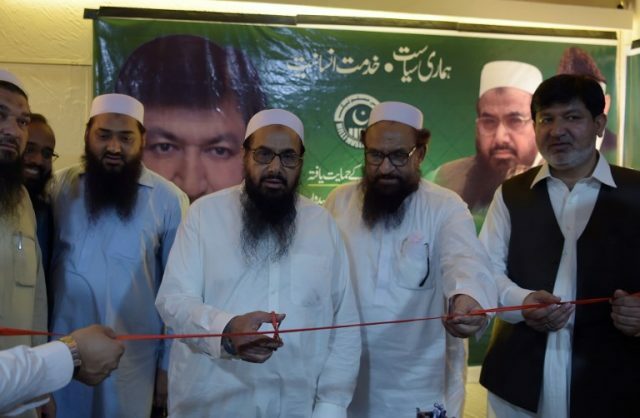 The Milli Muslim League, the political front of Hafiz Saeed’s Jamaat-ud-Dawah, is also contesting elections on 76 NA and over 180 provincial assembly seats. The MML is standing from the Allah-o-Akbar Tehreek’s platform after the Election Commission of Pakistan declined to register it as a political party. The MML’s request was rejected after its election activities were objected to at the diplomatic level. For its part, the group denies any involvement in terrorism. “International powers want to isolate us and portray us as a Daesh-like group,” says MML’s Islamabad president Saeed Ahmed Gujjar. The diplomatic pressure was a factor to consider given that Pakistan was added to the Financial Action Force’s ‘grey-list’ in June this year after failing to fix its anti-terror-financing laws. Hafiz Saeed was one of the prominent figures the international community had demanded action against. In off-the-record conversations, PML-N and PPP leaders have pointed fingers at the Establishment who they say is using extremist organizations to dent the vote bank of mainstream political parties. “The MML and TLP were launched to damage the PML-N’s vote bank in Punjab and to benefit a certain political party,” said a PML-N senator, requesting anonymity. Analysts believe that the rise of ultra-extremist groups poses a threat to Pakistan’s democracy. The outlawed Ahle Sunnat wal Jamaat, the political front of Sipah-e-Sahaba Pakistan, was banned in February 2012. But its leader Ahmad Ludhyanvi is now contesting the elections from NA-115 Jhang. Mr Ludhyanvi’s assets were unfrozen by the National Counter Terrorism Authority in June after the Punjab government removed his name from fourth schedule—a terror watch list. Another ASWJ leader, Aurangzaib Farooqui, who is notoriously known for provocative sectarian speeches, has also been allowed to contest the elections from Malir’s NA-238 in Karachi. They stand for elections even though extremist organizations have never received massive support at the ballot box. Oddly enough, Pakistan’s mainstream political parties with massive vote banks still find the need to rely on their support to win elections. 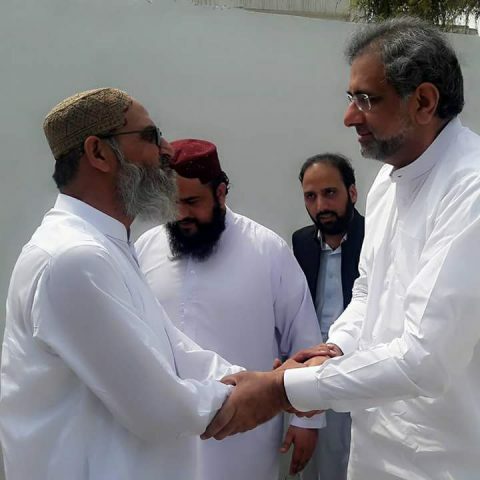 For example, former PM Shahid Khaqan Abbasi, who is heavyweight politician, reached out to the ASWJ for support. Abbasi is contesting the elections from NA-53. The ASWJ is backing him. Former PM Shahid Khaqan Abbasi with ASWJ office-bearers. 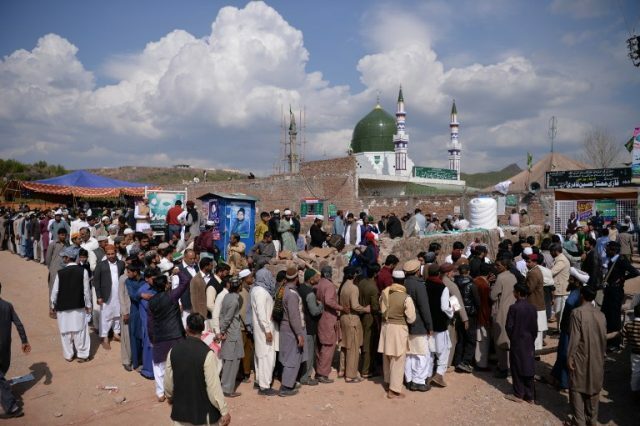 Reporter Azaz Syed, the author of The Secrets of Pakistan’s War on al-Qaeda, says that groups that were involved in militancy and charity are contesting the elections to appear legitimate. 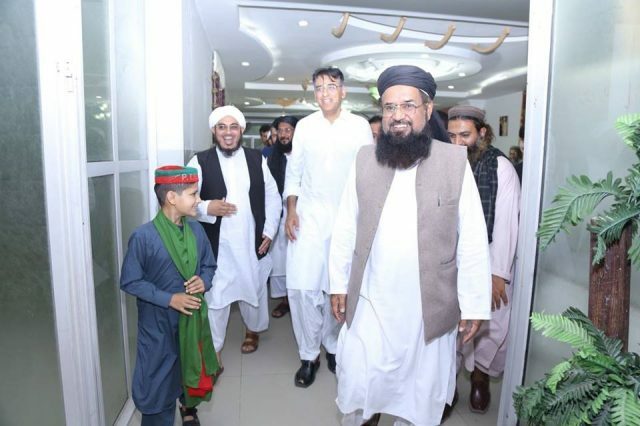 Similarly, Maulana Fazl-ur-Rehman Khalil, the founder of the outlawed Harkat-ul Mujahideen, has announced that he would support PTI’s Asad Umar in Islamabad’s NA-54. Umar came under fire for seeking support from a man who had close ties with al-Qaeda leader Osama bin Laden.